Product categories of Benchtop Wire Stripping Machine, we are specialized manufacturers from China, Benchtop Wire Stripping Machine, Cable Peeling Machine suppliers/factory, wholesale high-quality products of Copper Wire Stripping Machine R & D and manufacturing, we have the perfect after-sales service and technical support. Look forward to your cooperation! Our Scrap Wire Striper Proved to be a Bonanza. Please make efforts to push these types machines. There is still a great amount of scrap wire that ends up in landfill sites all over the world. We can supply to you the cable wire strippers and technical know-how. 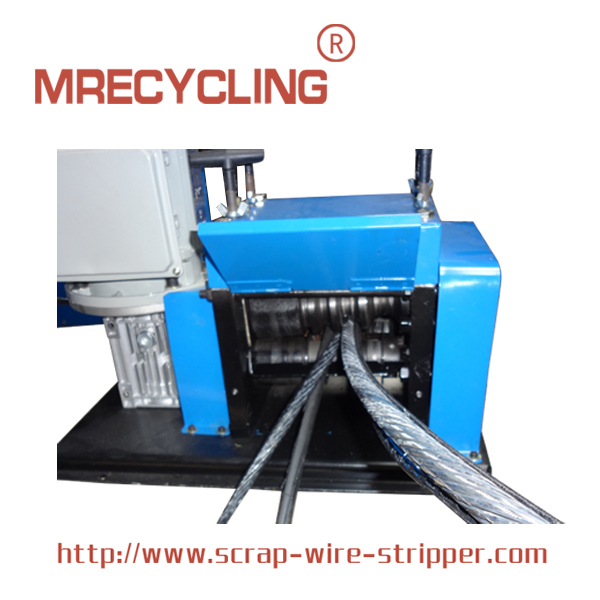 Turn all of your leftover bits and pieces of scrap wire into cash with a Scrap Wire Stripper, Wire Stripper Machine. All our products are of prime quality with moderate prices. We guarantee prompt delivery of goods.